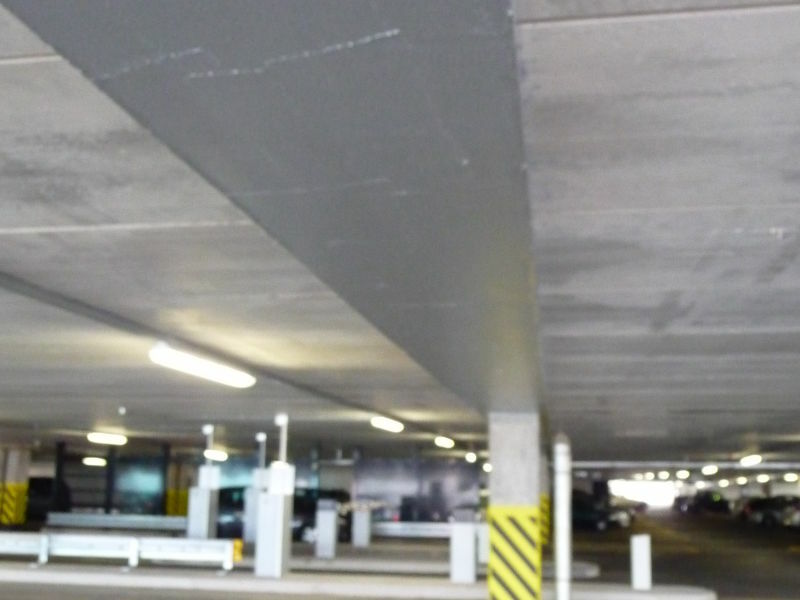 DELTABEAM® was ideal solution for long span retail grids and multi-storey car parking floors. 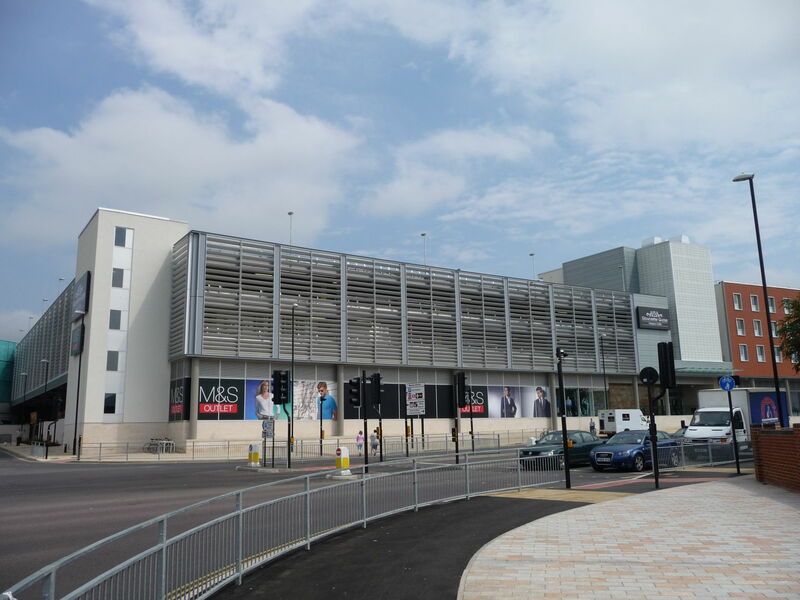 The £300 million Gloucester Quays project comprises a 20,000 sq m designer outlet centre, 7,800 sq m Sainsbury's store, waterfront bars, cafes and restaurants and a 1,400-space car park, 80-room hotel, a 100-room Travelodge, 9,000 sq m of office space and more than 1,000 residential units. This major regeneration project in the once-sleepy city of Gloucester, has completely transformed the old south-west port, by offering substantial retail opportunities & a boost to tourism and employment. 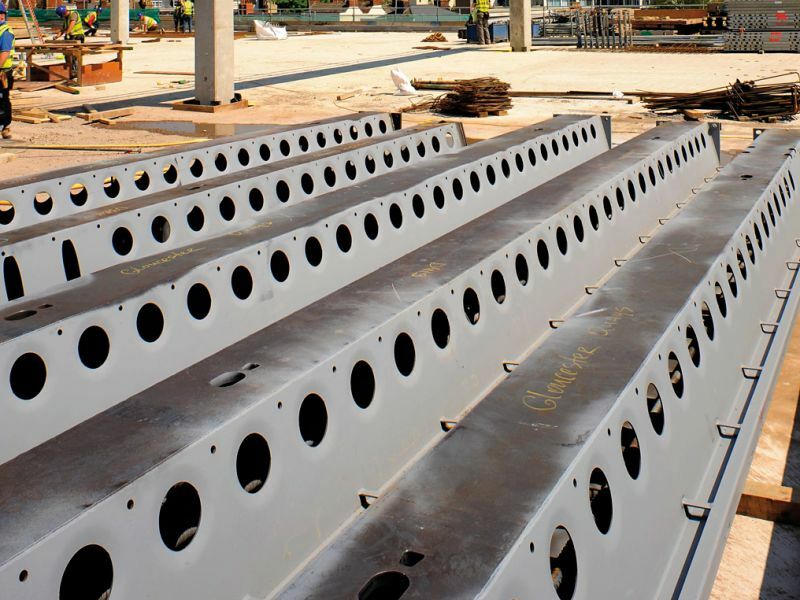 DELTABEAM® Composite Beams put backbone into Gloucester mall. Work began on the 25 ha site in 2007. At that time a good handful of options were being discussed as to what structural solution would be used. But, as Bovis Lend Lease project director Simon Allen found out, there is not always one right answer. "This scheme is rather unique in the way we have approached structural solutions," he says. "Yes, it is usual to have a construction site with lots of different methods being used for various things, but you don't usually choose a range of structural solutions. Usually you just pick one and stick with it." Not for this project, though. 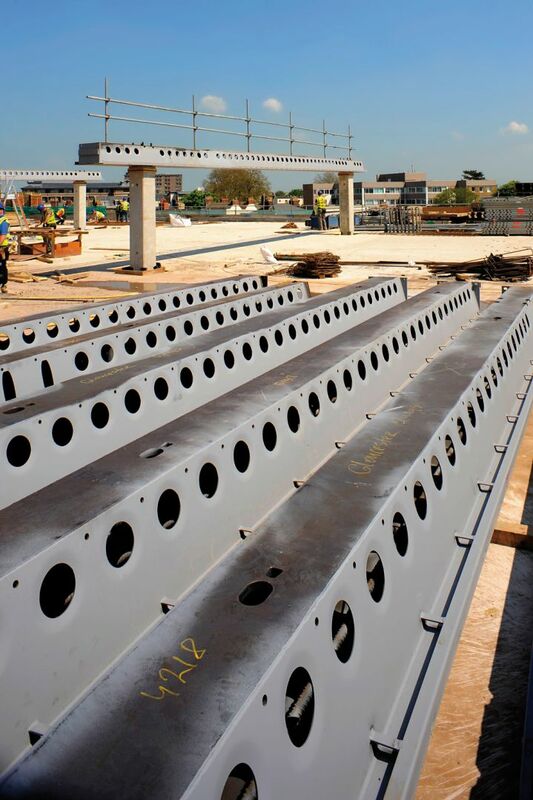 There are steel frames in the designer outlet centre, DELTABEAM® Composite Beams in the main mall and post tension slabs in the Travelodge. There is also shot-blasting occurring on heritage buildings, which are being kept and incorporated and, across the canal, Sainsbury's will appoint its own specialist contractor to erect its new supermarket. But it is the DELTABEAM® Composite Beams that are creating a buzz of excitement among the project team. For a retail centre, the design allowances are ideal. "Because of the load-bearing capacity, we are able to build using a lot less columns," Mr AlIen says. "That is a big plus for retailers, who prefer open floor areas. 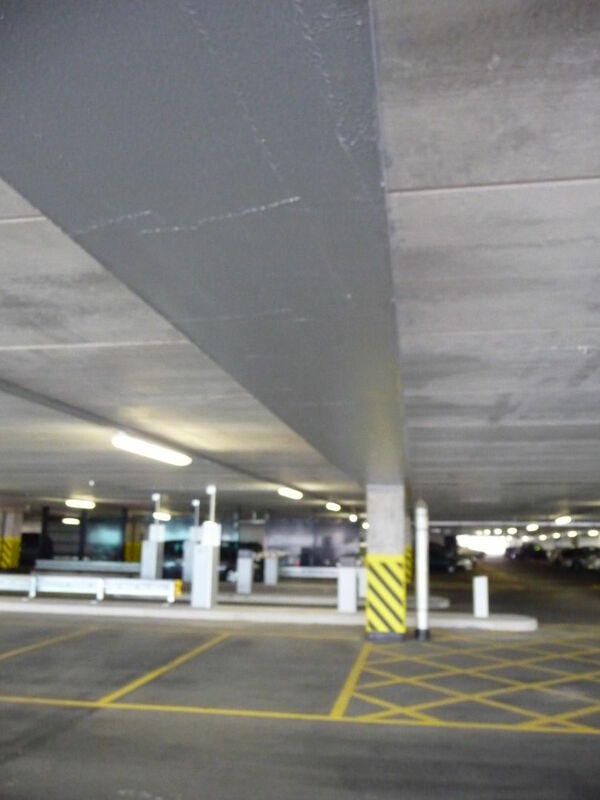 "The floor loadings are low and evenly distributed, which also means you have clear, open space for car parking bays." Also, he notes, "the system's off-site fabrication is the way the construction industry is going". So, while Mr AlIen says using the method wasn't a first for the team, he confirms it also won't be the last. "I will definitely use it again," he says. "… It offers a quicker programme speed and less man hours are required in comparison with more traditional methods." And the clients are thrilled, too. 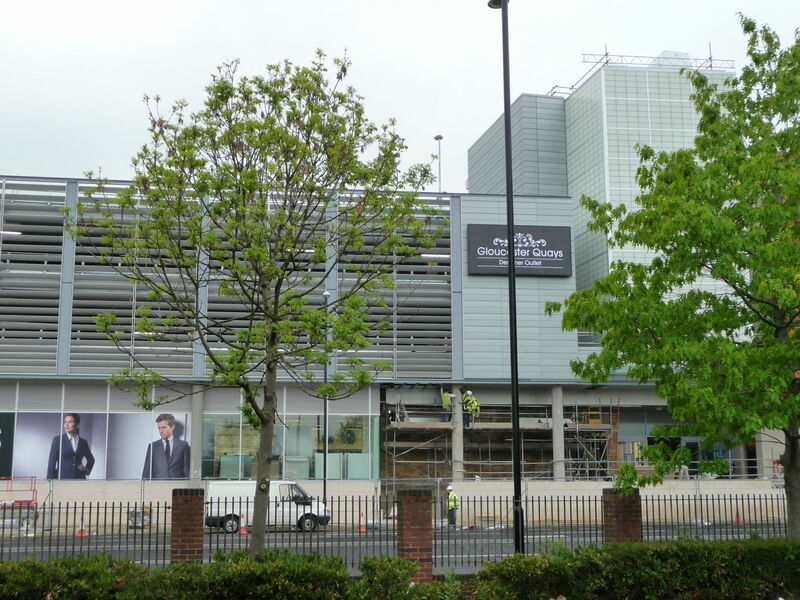 Peel Construction Manager Andrew Dickson says: "We are definitely very pleased. After they explained the process to us, we certainly supported Bovis in taking the system forward. It has a great flexibility for retail space and also offers good speed in delivery." 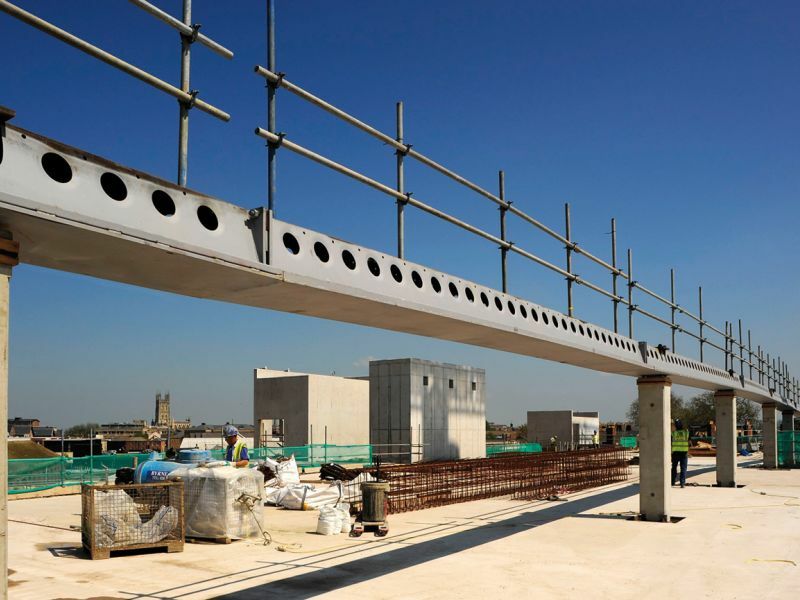 "DELTABEAM® Composite Beams provide the clients with all the pluses from both traditional types of frame construction," Mr Allen says. "A steel frame is quick to install and cost-effective. 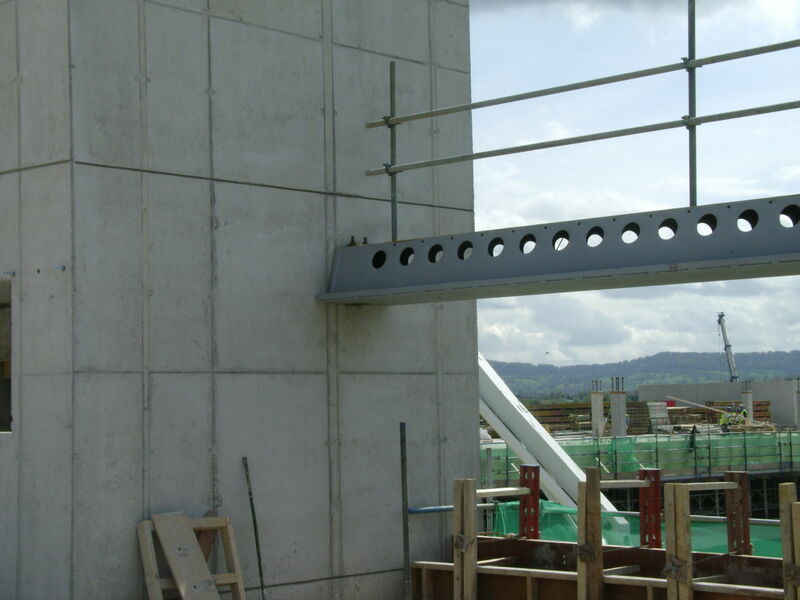 A concrete frame is solid, has fire protection and no noise reverberation. 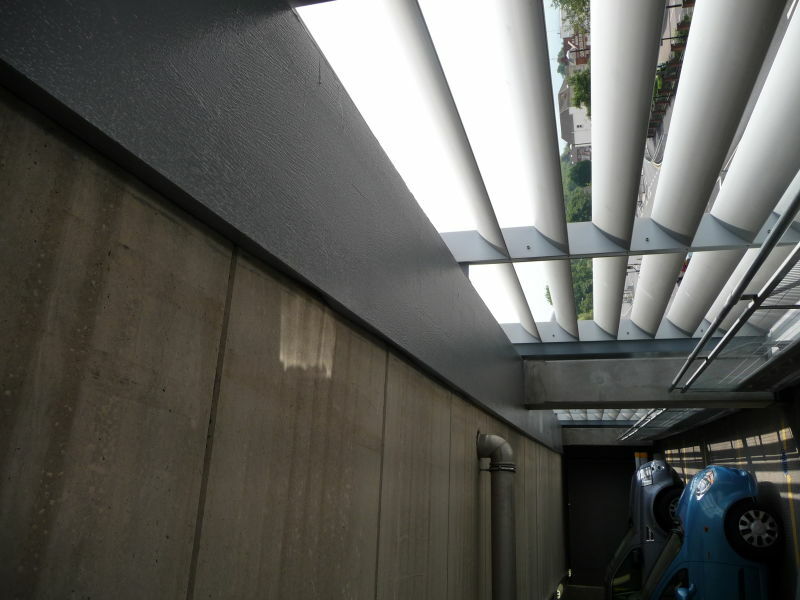 DELTABEAM® Composite Beams offer all of those advantages. 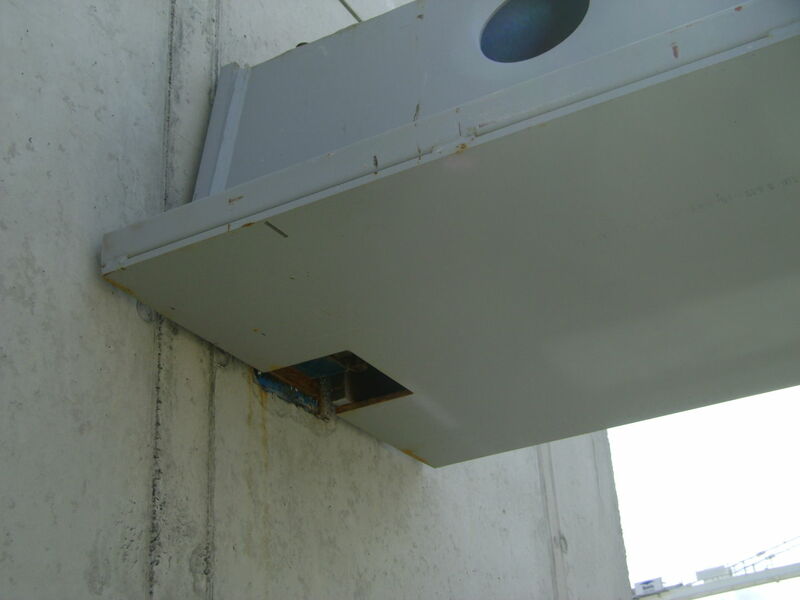 "But the contractor does have to deal with the drawbacks of both those types of construction, too. In a concrete frame building there are always last minute changes to design and with a steel frame you have to freeze the design of grid lines and column locations two months before the build. "Again, with this system, we still have to deal with both of those issues." Lucky for the Bovis team and their subcontractors, though, their methodology only needed a little fine-tuning this time around. "You need to take something from every construction you do. The problem in the construction industry is that on every single site we are prone to reinventing the wheel. It is important to find a way of bringing good ideas from one site to another, and that's what we have done here to make it simpler, faster and safer." Outside of the main mall, the site is a bustle of various contractors preparing and beginning to construct all elements of the scheme. 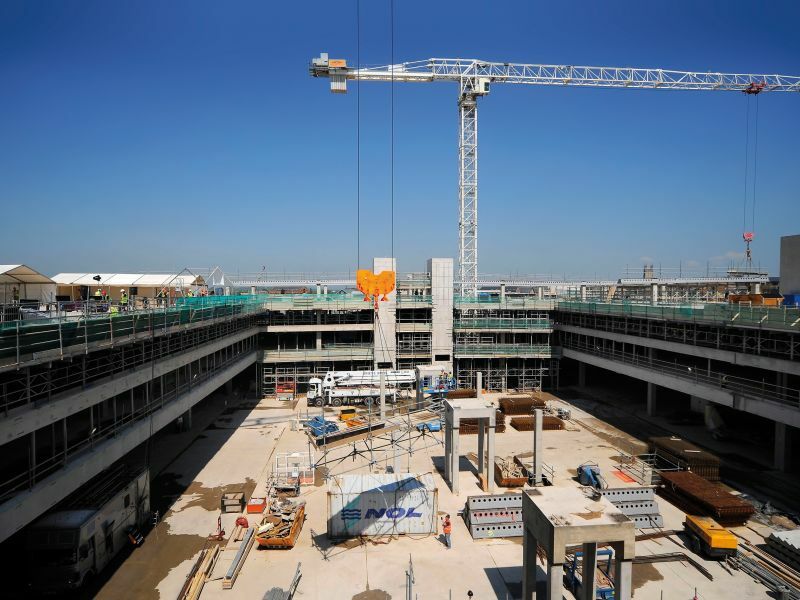 On any given day there are about 350 workers on site - 30 of which are Bovis managers, the remainder are with subcontractors from the 60 firms appointed to undertake the build. 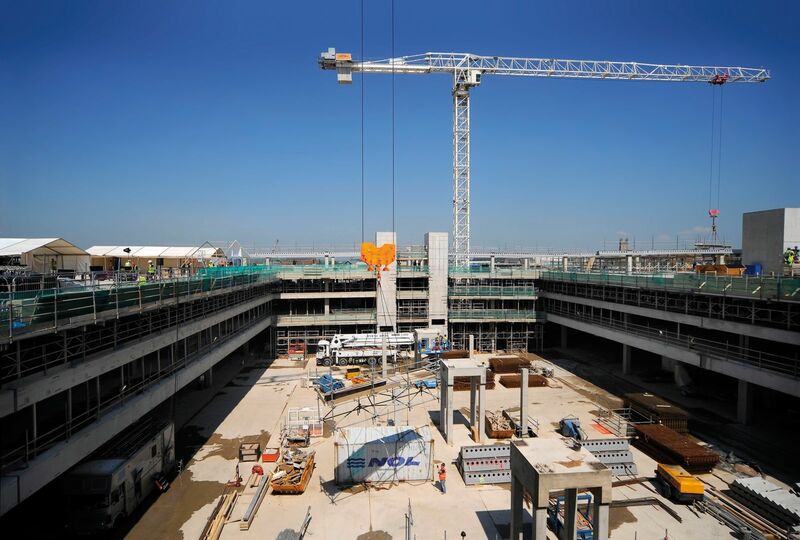 Ensuring high health and safety standards across the project has been of the utmost importance to Mr Allen. Bovis is very safety-conscious and a full-time nurse has been employed to work at the Gloucester site. Yet, after a year on site, there have been only four reportable accidents, all of which, he adds, were relatively minor. One of the things he attributes this success to is, in fact, the DELTABEAM® system. That is because, once a beam has been placed, the precast planks can be installed immediately and, voila, a new floor is created. "In the UK construction industry we have too many deaths; too many minor and major accidents," Mr Allen says. "DELTABEAM® Composite Beams offer leading edge protection. You don't fall off the floor because the floor is all there. If we can quickly put the floors in then it is going to yield a huge safety benefit." The company celebrated 250,000 man hours without a reportable accident at its topping out ceremony. This project may prove to be a real leader, setting a benchmark in DELTABEAM® construction for others to follow. In the UK construction industry we have too many deaths; too many minor and major accidents. 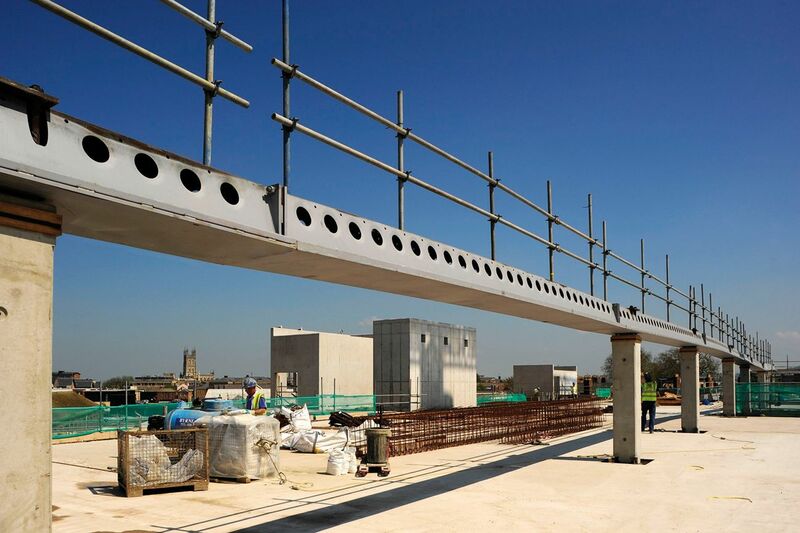 DELTABEAM®s offer leading edge protection. You don't fall off the floor because the floor is all there. If we can quickly put the floors in then it is going to yield a huge safety benefit. 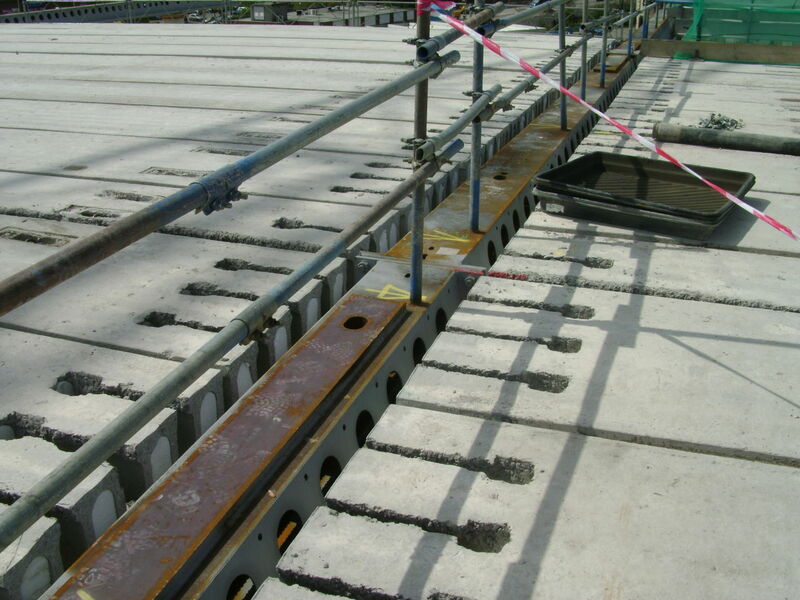 Lend Lease, Byrne Bros (Formwork) Ltd.